Mumbai : Vikas WSP is currently trading at Rs. 18.80, up by 1.34 points or 7.67% from its previous closing of Rs. 17.46 on the BSE. The scrip opened at Rs. 18.00 and has touched a high and low of Rs. 18.94 and Rs. 18.00 respectively. The BSE group ‘X’ stock of face value Rs. 1 has touched a 52 week high of Rs. 18.40 on 25-Apr-2019 and a 52 week low of Rs. 8.62 on 10-Dec-2018. Last one week high and low of the scrip stood at Rs. 18.40 and Rs. 10.46 respectively. The current market cap of the company is Rs. 356.95 crore. The promoters holding in the company stood at 17.86%, while Institutions and Non-Institutions held 0.42% and 81.72% respectively. 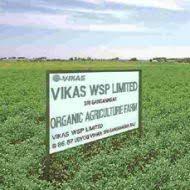 Vikas WSP has received export orders and domestic orders for various guar gum food grade products for the above cited subject uses aggregating to Rs 176.84 crore. These products are newer guar gum products developed by the company during 2016-2017 and now these products have been accepted in the international market with wide acclaim. Some more orders are under the process of finalization. Vikas WSP is one of India’s foremost guar gum powder (GGP) manufacturer, supplying to all sectors of the food industry with an extensive range of quality products.